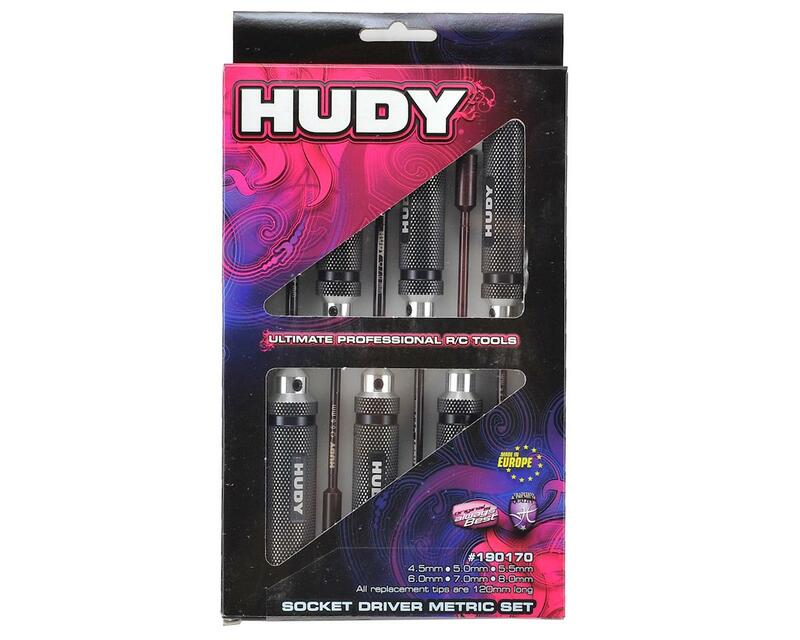 This is a set of Hudy Professional nut drivers with six popular metric sizes. Ultra-lightweight, ultra-durable nut drivers feature superb fit and finish. CAD-designed socket tip, made from world-renown Hudy Spring Steel, very precisely fits the corresponding hex nut without chance of rounding or marring corners. 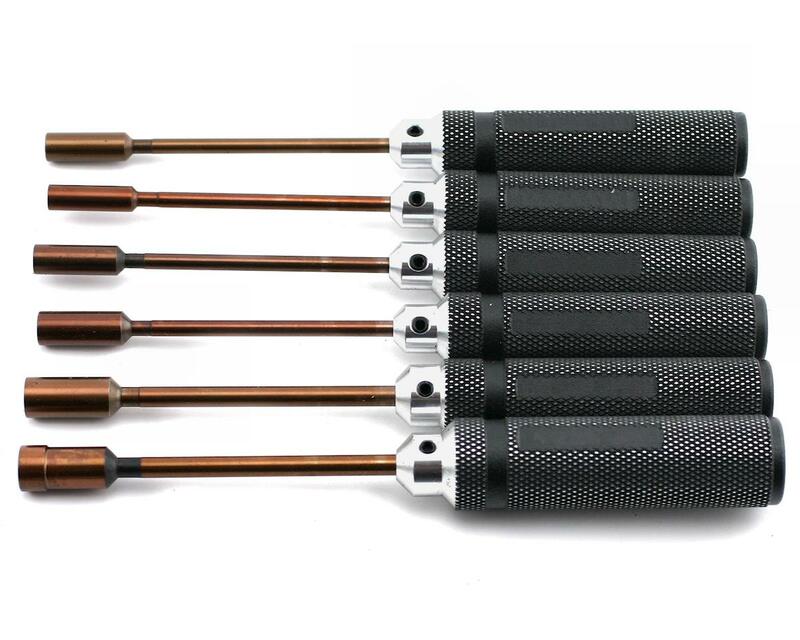 Best wrenches in the business, and are the ones that started the whole high quality rc tool craze. Mr 1-star review guy should stick with the kit supplied tiny cross wrenches. What a joke. I can't believe how Hudy is really trying to screw you out of every Shame on Amain for even selling Hudy products. What really got me was how for the already over priced item they won't even include the handle cap. Come on.